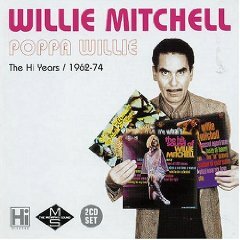 Intro From "It's Dance Time"
51 Willie Mitchell tracks on a 2 CD set, the Memphis sound behind Hi Records. Superb complication by Tony Runce with a complete discography of Willie Mitchell albums and singles. Great photographs and interview in the booklet, well done Demon. Issued on HI HEXD 48.